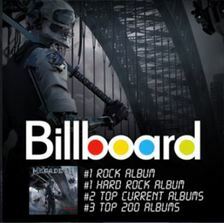 It’s been a crazy past two years for Megadeth but, as Loudwire called them, they are indeed resilient. For a while, it was hard to tell what was going to happen. No one knew if Megadeth was going to be able to release a new record that satisfied the majority of the fans’ expectations. But here we are. We now have the band’s 15th studio record, Dystopia, which in my view is the band’s best effort in the last decade. 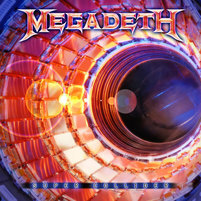 In 2013, the band released Super Collider that divided the fans as some did not like the direction the band had taken. I would still categorize the album as a whole as “metal” but the tempos were a little slower. The majority of the songs did not have the complex riffs, trading solos, and intricate drumming that fans usually expect from Megadeth. In that aspect, some considered it as another Risk (1999) type album. To be fair, I like Super Collider for what it is because I like it when bands take risks and try something different. Having said that, I definitely see where all those people are coming from. Reading the reviews in 2013, it was easy to see that a considerable amount of fans was disappointed. Everybody was yearning for a more traditional Megadeth album that fired on all cylinders! It turned out that the songwriting and recording had to wait. 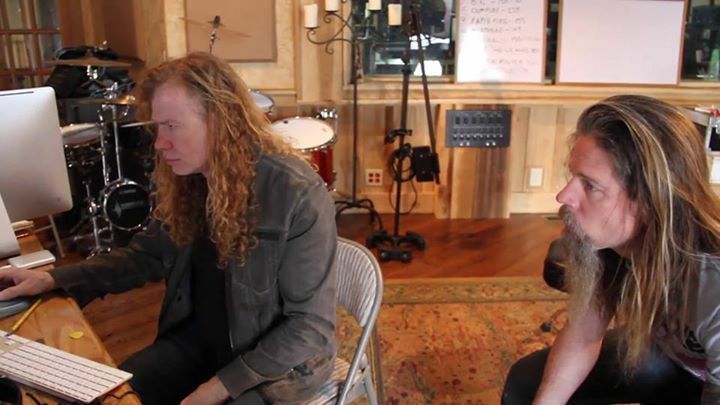 By the time they were ready to write new songs, Dave Mustaine had already gone through quite a lot. His mother-in-law had been battling Alzheimer’s disease and, in November of 2014, went missing near a campground in California. Unfortunately, when the search teams later found her about a month and a half later, she had passed away. This was of course devastating to not just Dave, but to his entire family. When this was happening, he was also in the middle of moving to Nashville to support his daughter’s country music career. But first, he had to support his family during this tragedy. The priority, naturally, had to shift. To add another complication into the mix, Shawn Drover (drums) and Chris Broderick (guitars) quit the band right around this time. I wrote about their departure in more detail on my first post. There was rampant speculation about the reasons but two main topics always show up in interviews: musical differences, and rumors about a Rust-in-Peace era reunion. The musical difference part is fairly evident as Megadeth is Dave’s band and ultimately, he makes the final decision on the music. And as we now know from Chris and Shawn’s new band, Act of Defiance, their music is completely different. As for the RIP-era reunion, it’s well publicized that the band tried that. They even jammed with Nick Menza for a while. But it fell through for obvious reasons – financial disagreement & creative differences. But Mustaine claims that even before Broderick and Drover had quit, the band’s management at the time was already pushing for this reunion. It was another reason why those two felt unwanted and ultimately quit. No matter how you looked at it, the circumstances were not too good for the band right before they were supposed to record a new album. Two members left, the reunion idea didn’t pan out, and there is still an album to be done. Now what? Mustaine found the two players he needed after evaluating a few candidates. 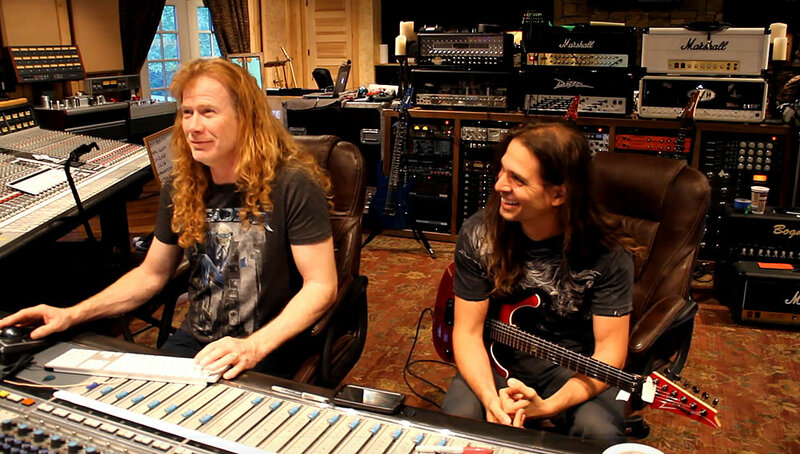 Chris Adler took over drums and Kiko Loureiro joined in on guitars. Adler is well known as the drummer of the successful metal band Lamb of God and he’s always been vocal about his love for Megadeth. Kiko, on the other hand, was a new name to me even though he’s actually well known in international metal circles as a member of the Brazilian power metal band Angra. 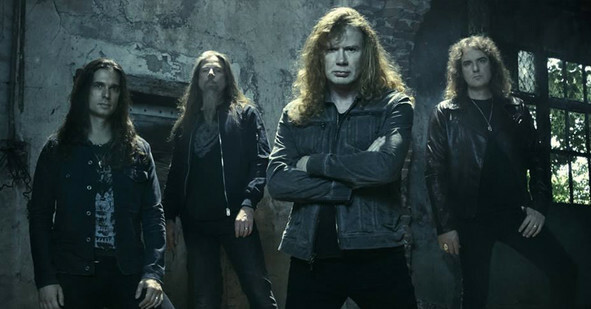 Kiko was announced as a permanent member of Megadeth, but Adler was announced only as a session drummer to complete the album, because of his involvement in Lamb of God. The band said they were going to try to work it out with Lamb of God so he could do as many of the shows in the upcoming tour as he could. As of now, Adler has already played with Megadeth a few times and is scheduled to do most of the 2016 tour. It’s always divisive when Megadeth announces new members, but I was thrilled about Kiko and Chris even before hearing anything from the album. I thought Chris Adler was the drummer that Megadeth needed to re-introduce some exciting drumming into the band’s sound. And as for Kiko, upon listening to a few Angra records and pretty much becoming obsessed with his solo album “Sounds of Innocence”, I was already convinced we had a truly remarkable new lead guitarist. His style wasn’t just focused on showing off difficult techniques on the guitar, but on adding elements of unique melodies that made the solos memorable. In that regard, many fans were comparing him to Marty Friedman because both players are known for having such distinctive styles and making their playing about the melody, not about how “difficult” their solos are. After this long journey, we arrive to today. 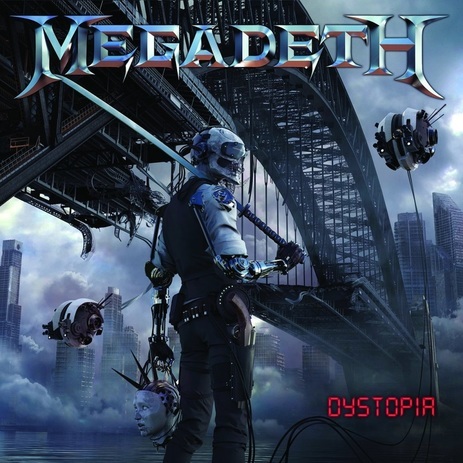 The new Megadeth album… Let’s talk about DYSTOPIA. From a production standpoint, this is the band’s best sounding album since Countdown to Extinction. The instruments blend well together and the whole album somehow retains a “live” feeling even though the sound is polished enough. The guitars are aggressive, with great rhythm and lead tones, making the guitar-work truly shine! The best part of this album’s sound, however, is the drums! My biggest beef with the past few albums was with drums as they usually sounded either too digital for my taste or the snare didn’t have the attack you’d expect from a thrash oriented album. Dystopia has drums that sound polished, and sound high in the mix – but retain the natural sound. It highlights Chris Adler’s drumming perfectly. The guitars are once again tuned one step down to D Standard. It fits Dave’s new vocal range better and he sounds really good on this album. People complained after Super Collider saying the guitars weren’t heavy because they were in D Standard but that had nothing to do with it. It’s about how you set your tone, not necessarily about your tuning! Dystopia is perfect proof of that. 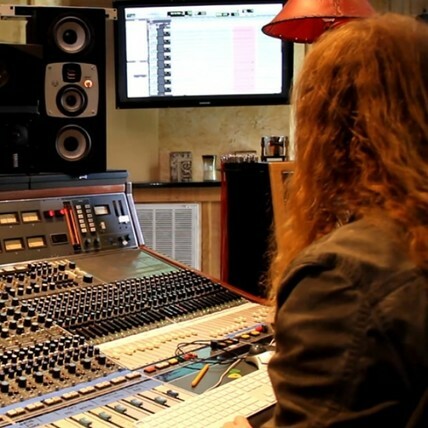 I hope Megadeth keeps using D live and in the studio. The album opens with “The Threat Is Real”, which sets the tone for the album right from the start. The song is as aggressive as it gets and I particularly love Dave’s vocals on this one! It’s hard to pick a favorite from this album but Threat… would be in the top 3 for sure. Great vocals, great guitar work, aggressive drumming, and superb solos! 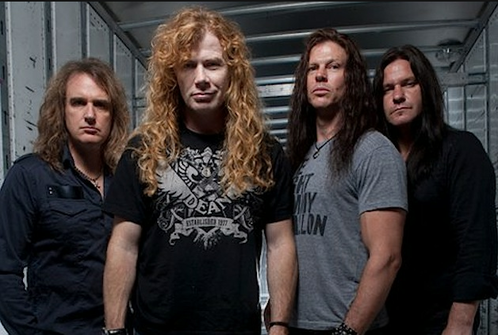 This is the Megadeth I love the most, because no one does it better than they do! “Dystopia” then shows the more melodic side of the band at the beginning, with really beautiful lead work from Kiko. The band goes into a heavier, groovier mode towards the end with some intricate drumming from Chris Adler. “Fatal Illusion” was the first song the band released as a teaser, and it still sounds as awesome as it did the first time! Some find the intro too long but I don’t, I like the build-up, and we get to hear an awesome bass lick from David Ellefson before the band goes into a thrash song with the complex riffing that we’ve come to expect from Mustaine. “It’s a fatal illusion to think that evil ever dies” says the band as they finish the song with riffing and drumming that remind me of the Peace Sells era. Other highlights from the album are the instrumental “Conquer or Die!”, with a melodic acoustic intro from Kiko before Dave showcases his rhythm skills with a riff that grabs your attention right away, and Kiko launching into a long solo to take us through the rest of the song. “Lying In State” comes right after the instrumental (Mustaine said he’d originally thought of these two as one song) and it’s one of those straight-up thrash metal songs that’s aggressive, fast, and just never stops until the song is over. “Post American World” shows Dave pondering the question of “what will we look like in a post-American world?”. It’s a great song that brings together some mid-tempo heavy metal through most of the song until the band kicks into high gear with trading solos between Dave and Kiko. “Bullet to the Brain” is probably one of my favorites on the album, it starts with an unusual, eerie riffing that goes excellently with the lyrics, and then gets into a heavier groove with the chorus. I love the singing during the chorus part too! The whole song just makes me want to hear more of the melodies – it’s a modern metal side of Megadeth, something a little different than the other songs and I think they executed that greatly. I also want to give a mention to “Last Dying Wish” – one of the bonus tracks – because it features one of the best riffs Dave has ever written, a super catchy, intricate, groovy riff at the 1:48 mark and it is the prime example of why Dave has the reputation of being one of the greatest riff writers of this genre. The other tracks are also very well executed and all of them offer something unique and interesting. I only mentioned some of the tracks to highlight the common themes and the musical direction but you can’t go wrong with any of them if you are a fan of the riff-oriented, heavier Megadeth. The focus on this album was definitely not radio success, it was all about putting together the best possible album. The funny thing is, this album actually did excellent with chart success because the album came #3 in the Billboard 200 chart, their highest since Countdown to Extinction in 1992, and topped most of the rock and metal charts around the world. When you think about the fact that this is a metal band that’s been around for 33 years, it’s a remarkable achievement. Some didn’t like Mustaine’s lyrics, especially the politically charged ones, but I think all songs are well written on Dystopia. All themes they chose to explore fit the aggressive music perfectly. 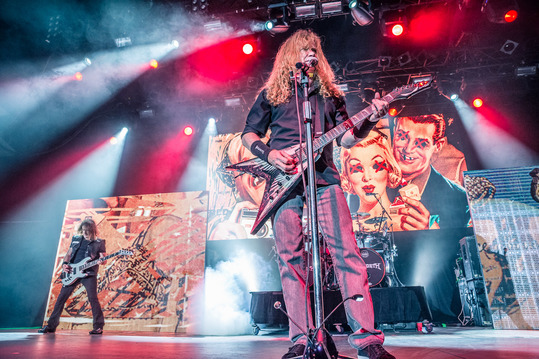 The overall vibe is gloomy – as the album title and artwork would suggest – but that’s nothing new to Megadeth. Their 1986 album Peace Sells But Who’s Buying?! shows the United Nations building blown to pieces. The beloved 1990 album Rust In Peace dealt with dark themes as well, with the title track talking about a nuclear warhead called Polaris. 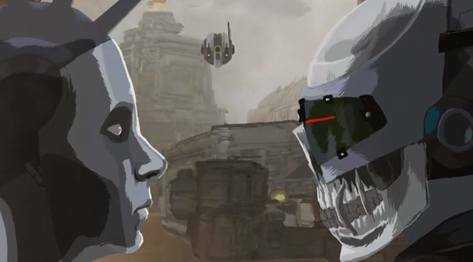 2004’s The System Has Failed showed politicians getting in line in front of the Supreme Court building and buying a “not guilty” verdict from Vic Rattlehead. There are a ton of examples – but the point is, this band is known to explore these themes. It would also be unfair to say that it’s all about politics on the album. There’s actually a good spread. There are a few songs that deal with politics, as outlined above. But there’s also personal lyrics (Look Who’s Talking, The Emperor, Me Hate You), a few that tell interesting fictional stories within the song (Fatal Illusion, Death from Within, Bullet to the Brain), one that asks the listener to ponder on a hypothetical question (Post American Word) and one that is more emotional and deal with a person’s past haunting them (Poisonous Shadows). I think most songs are well written, and I find them more engaging than those in the past few releases. The album definitely has something for everybody to check out. As I mentioned earlier, Loudwire magazine described Megadeth as “resilient”. I agree. 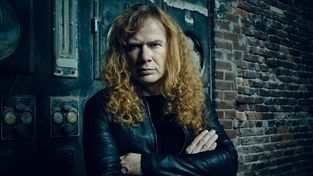 No matter what you may think of them, the fact is that Megadeth is still relevant in the metal arena after 33 years. And with Dystopia, they’ve delivered one of their strongest albums to date. It is the aggressive sounding album with impressive guitar work, changing tempos, trading solos, intricate drumming, and passionate singing most fans have been waiting for. No ambiguity or hardship could stop this band. No internet troll could distract them from getting their work done. They’re Megadeth. They take no prisoners!